Sturdy four-sided drawer construction with separate front panel. Constructed to resist water, scratches and dents. Finish has a charcoal accent line under worksurface. 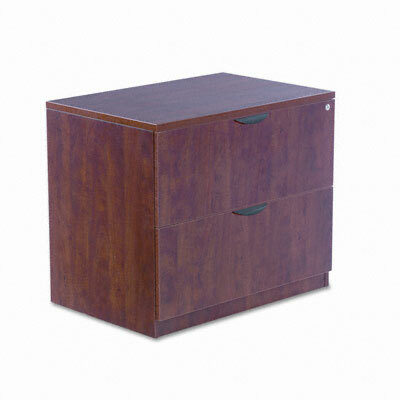 Use as a freestanding file or in combination with credenza shell (sold separately). Top removes for installing under worksurface.